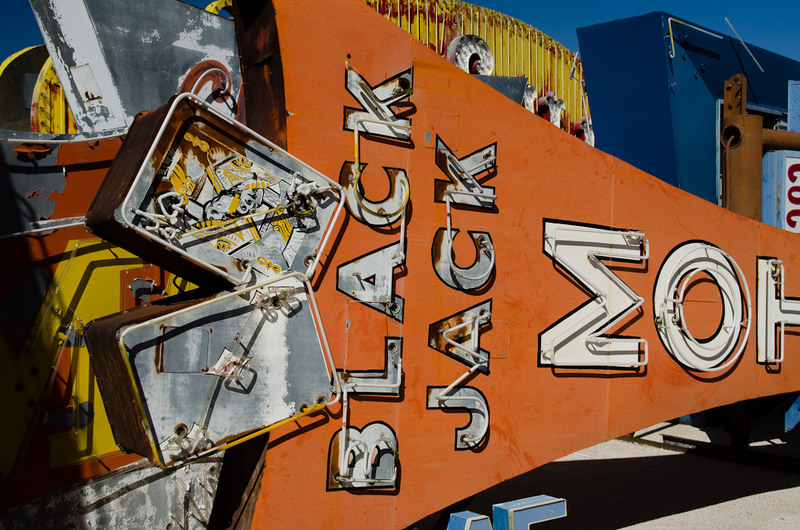 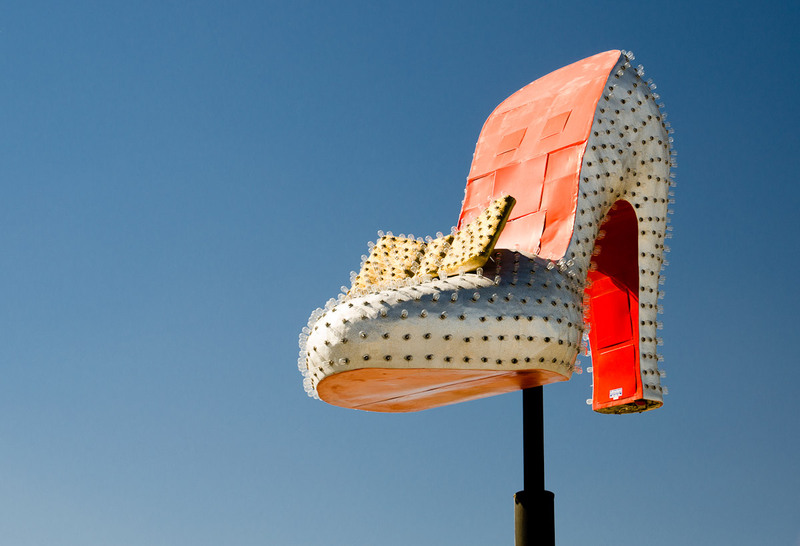 A great sign always catches my eye so I had wanted to see the Neon Museum in Las Vegas every since I found out about it in the Spring of 2011. 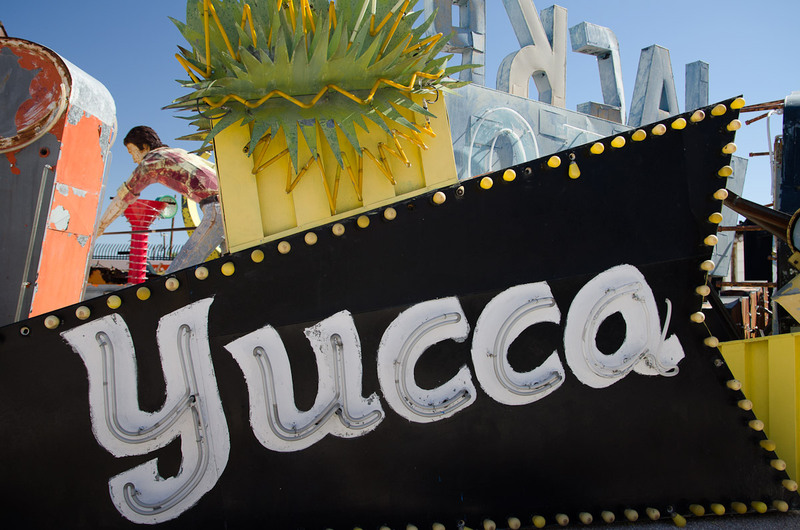 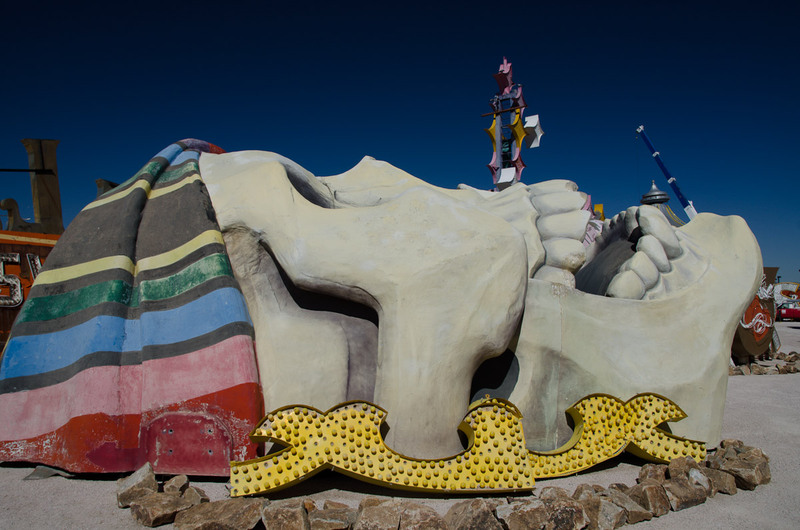 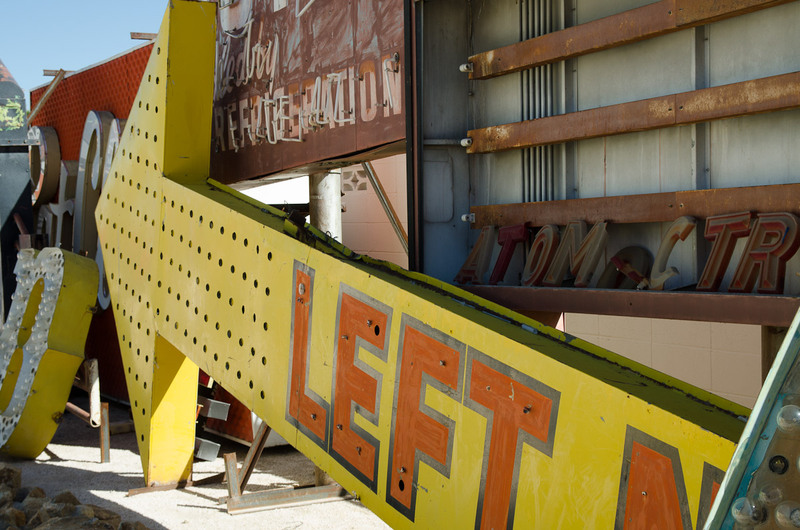 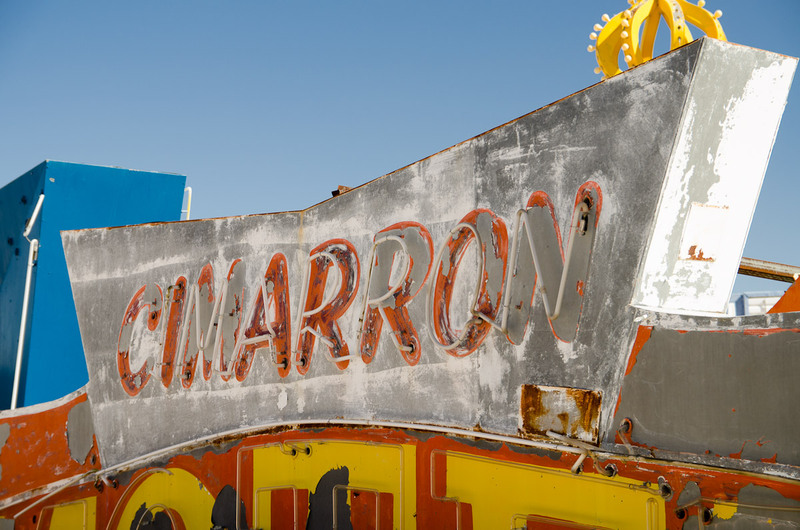 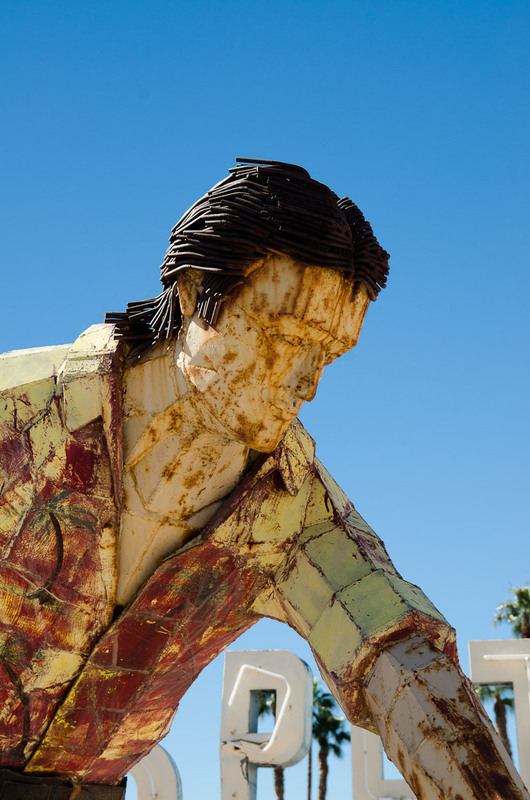 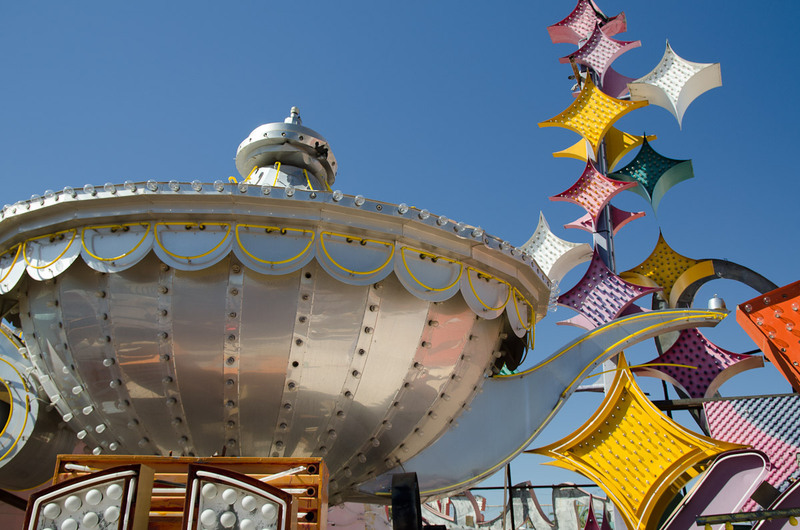 As of Fall 2012, the Neon Museum is on the cusp of becoming a regular museum which one can easily visit but in 2011 it was more of a sign bone yard that you had to sign up well in advance for a tour. 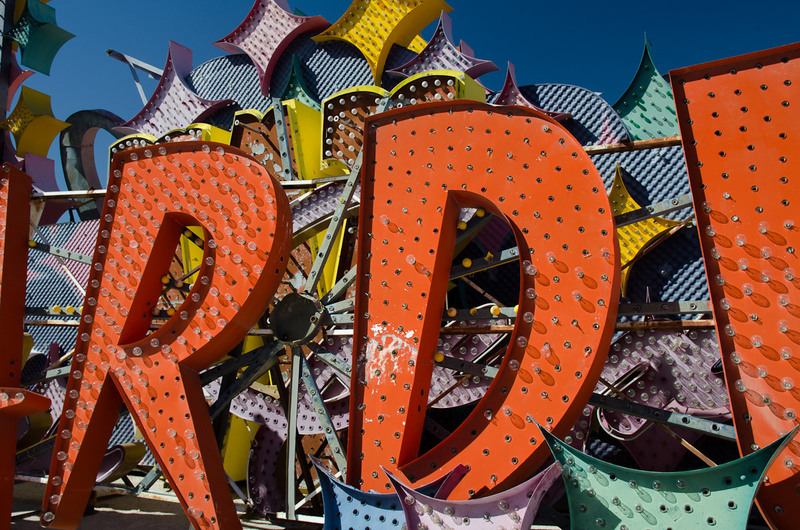 Those tours hadn't matched up with my time in Vegas until my October 2012 visit when the tour schedule had greatly expanded. 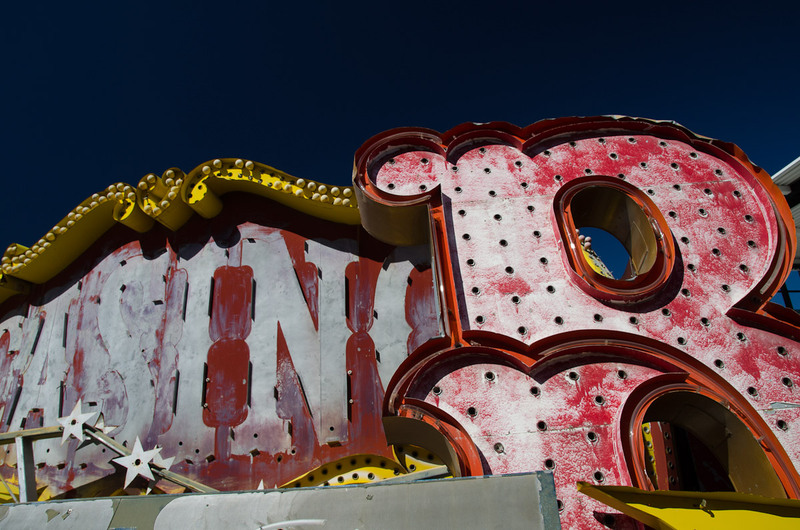 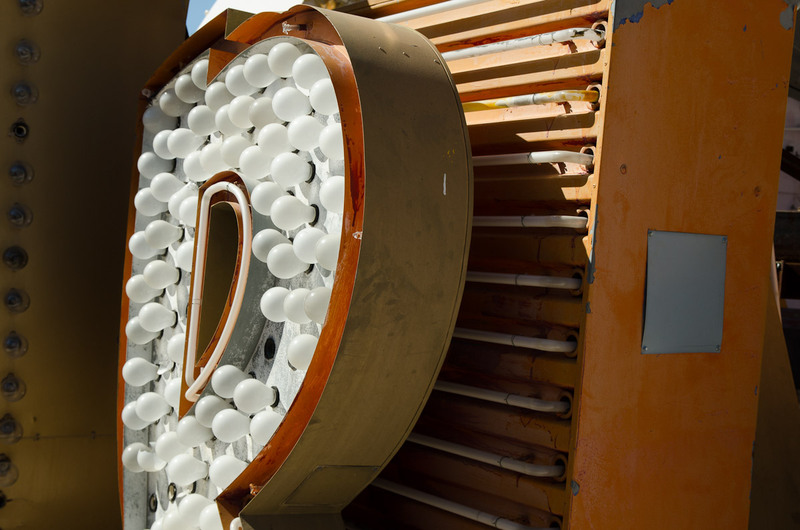 The tour uses the old neon signs to lead one through the history of Vegas chronologically from it's a early days as a tiny rail stop, to it's expansion as a place for R&R for workers on the Hoover dam, and finally Vegas growth into a world famous tourist destination. 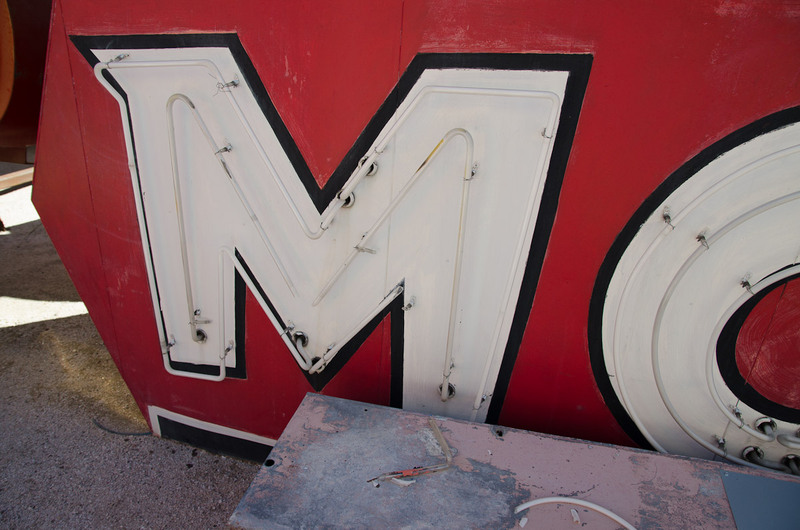 My favorite signs were the ones from the Mom and Pop motels that sprung up on the highway into town in the 1950's and early 60's. 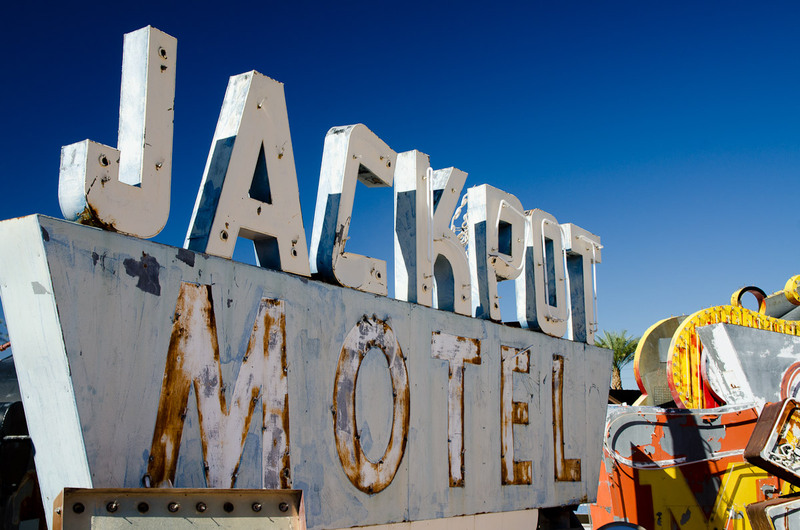 These small hotels hoped to entice the visitors coming from California to stop and take a room before they reached the big casinos which at time were downtown. 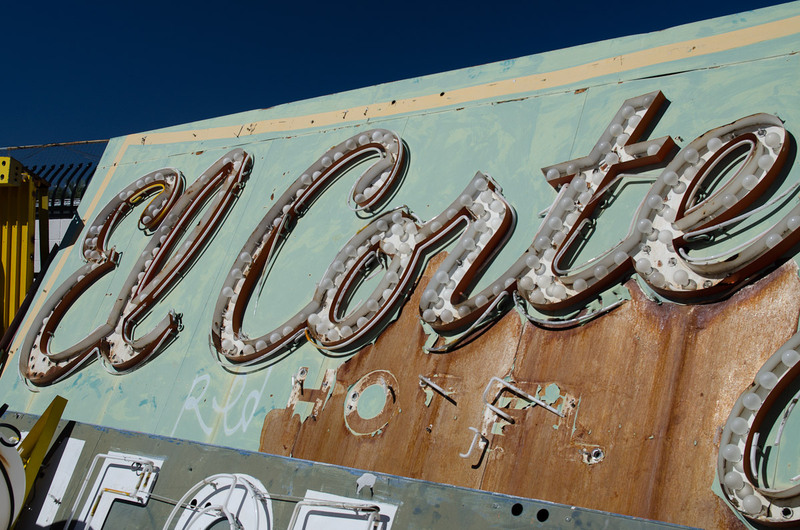 The signs were elaborate because that was cheaper than making the rooms nice. 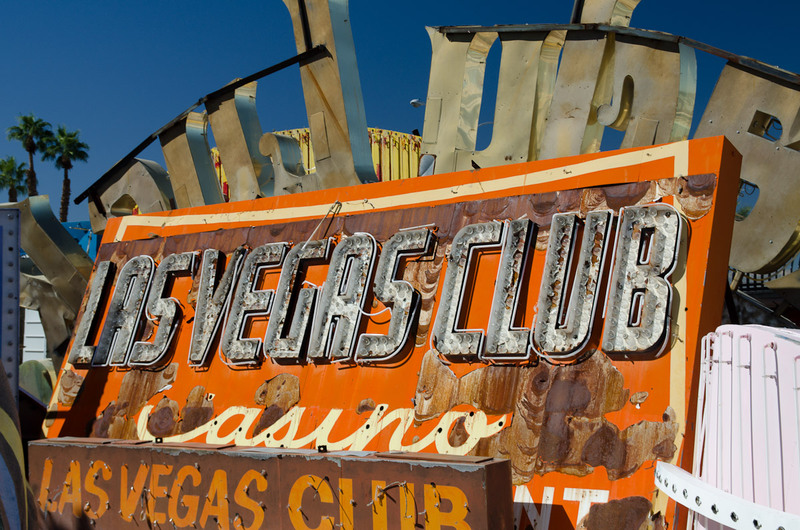 Those small hotels eventually evolved to the Las Vegas strip as they were bought out and replaced by mega resorts.